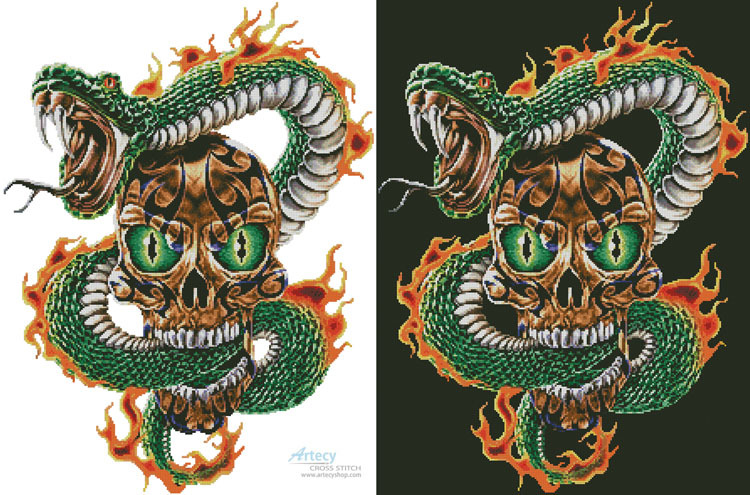 Fire Snake and Skull Cross Stitch Pattern to print online. This counted cross stitch pattern of a Fire Snake and Skull was created from the Beautiful Artwork copyright of James Piazza. Image licensed through JQ Licensing, LLC www.jqlicensing.com This pattern could be stitched on either white or black fabric, or you could stitch it on white fabric and hand stitch black background stitches if you prefer.